Tarpon Springs held its annual craft fair on the Sponge Docks. A visitor admires art by a local artist. 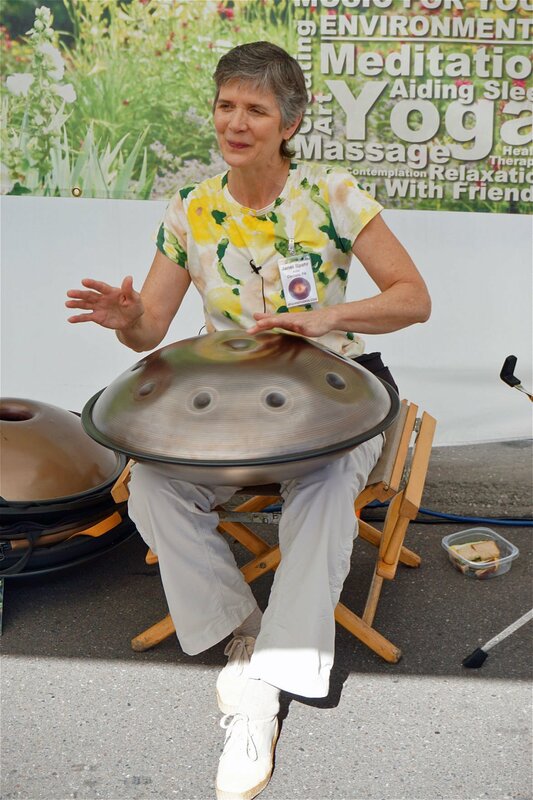 Janet Spahr plays the hand pan, a type of steel pan drum, while singing. A robot playing the drum is on display designed by Andy Hamilton of Twisted Mind Rusty Metal from Lutz. Crowds lined Dodecanese Boulevard for the three-day craft fair. Becky Sullivan of Tarpon Springs and Lenny Strickland of Dunedin check out hand crafted sculptures by Ron Koffwitz of St Pete.